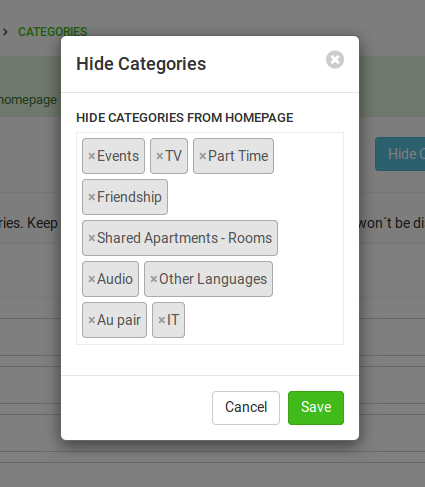 This feature offers the option to choose which categories you want to hide from the homepage of your site without deleting them! Go to Classifieds -> Categories. Choose the categories you want to hide. Go to your homepage and see the results! 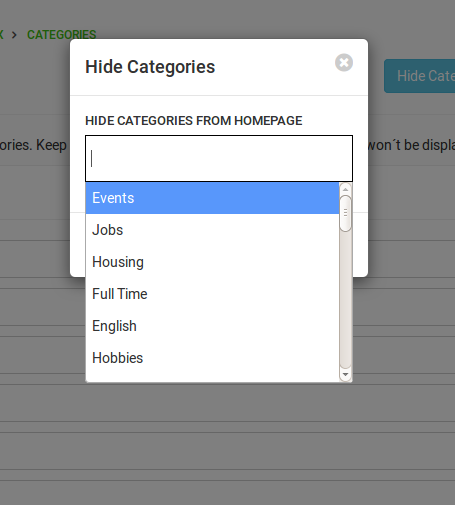 Keep in mind that choosing to hide a parent category will affect all the subcategories of that category!